The Presbyterian Church (United States of America) is the modern version of the oldest Presbyterian denomination in the United States. Its overall theology is very liberal, and there are no guarantees that any given church will preach the same Gospel Paul did. That is not to say that none will, but one cannot know without researching individual churches. My denomination is the completely separate and different Presbyterian Church in America (PCA). Please do not allow the similarity in names to confuse you. The PCA began in the early 1970's when a set of churches forsook the PC(USA) because of its liberal trends. The PCA has remained a theologically conservative denomination in whose churches the Gospel is more or less clearly preached. I am comfortable saying that, in West Virginia, one can visit any PCA church and be assured that you will hear the Gospel as Paul preached it. The larger, older PC(USA) has some 140 churches throughout the State of West Virginia. There is likely to be at least one in every city in the State. Others are scattered in smaller towns and rural areas. The Presbytery of WV (PC(USA)) website records that 91 of these churches are without ordained pastors. Thirty-eight of these pulpits are vacant. Thirty-two are filled with interim or temporary supply preachers. Twenty-one of these congregations have commissioned lay-pastors instead of ordained pastors. This means that a full 65 percent of these churches do not have ordained ministers. Forty-nine of these churches do have ordained pastors (70% male and 30 percent female). The PCA has 10 congregations in the state, two of which are mission churches, meaning that they have not been constituted as self-sufficient congregations yet. Four of these churches transferred from the PC(USA) into the PCA. The other six were planted in the state as PCA churches. Three of these churches do not currently have pastors and are filling their pulpits with temporarily supplied preachers. The other seven have ordained ministers working for them. Currently, there are 12 active, ordained teaching elders in the New River Presbytery, although two of these are retired and one of these is without a call. The greatest likelihood, if one were to attend the next presbyterian church that one sees while driving down the road, is that it is would be a PC(USA) congregation. The differences are very significant though, and I would highly recommend that those interested in attending a Presbyterian church in West Virginia research those differences and seek out a Gospel preaching, Bible teaching congregation. 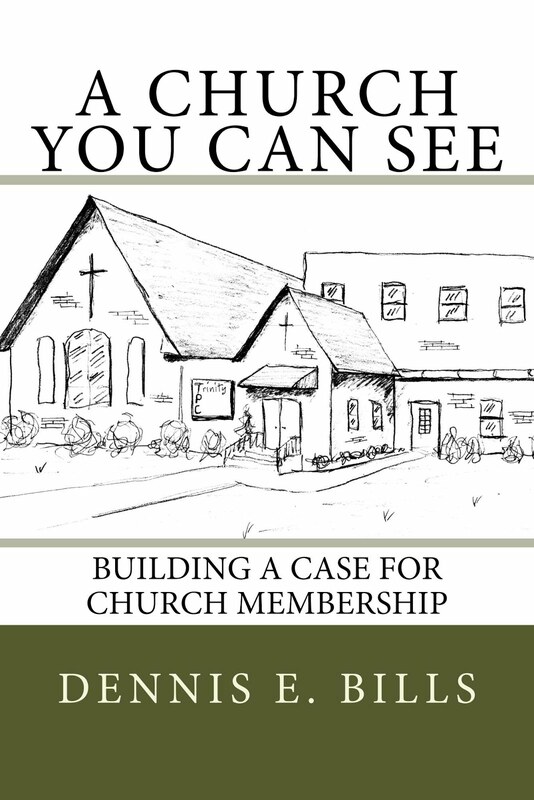 I can assure you that this will be easier to find among the smaller number of PCA churches. A significant point of information that is becoming important in our part of the world--The PCA does NOT allow for the ordination of gays and lesbians to pastoral ministry. The PC(USA) does. I hope that people will understand that the PCA still preaches, as the Word of God clearly teaches, that unrepentant homosexuality is incompatible with either Christian living or ordained ministry. The PC(USA) and PCA are two separate and distinct denominations. The PC(USA) is by its own admission a broader, liberal denomination that celebrates its differences from the more conservative PCA. The PCA does not ordain gays and lesbians. Wow Bill! Glad to know that you within the PCA have a clear bead on the way that St. Paul preached the Gospel and that our PC(USA)churches don't. To my mind, this is a terribly misinformed diagnosis. When, dear brother, was the last time you worshipped at one of our churches? 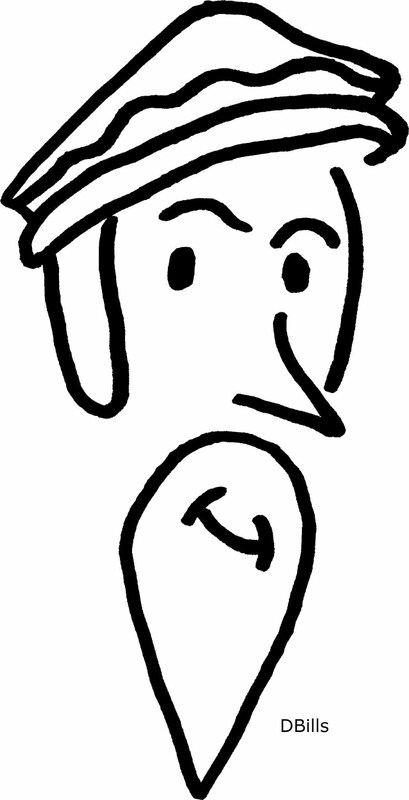 Secondarily, how can you feel comfortable painting things with such broad strokes? I understand the need to differentiate your denomination from ours. At the same time, to make such over-arching comments as you've placed in your blog seems like overkill of the worst (and least humble) variety. I urge you to remember we are all saved by grace through faith. Furthermore, this faith we have is a gift of God so that no one may boast. You are my brother in Christ and I pray for you and your upcoming move daily. First, dear brother, with all sincerity, let me say that I have every confidence in your understanding and communication of the Gospel of Christ. I have rejoiced that so many of the brothers and sisters that I have befriended at Pittsburgh Seminary also preach the Gospel. This surprised me because I had expected a much more liberal approach to the Gospel among the PC(USA) ministers at PTS. Perhaps my surprise could be viewed as evidence of my arrogance. If that is true, then let me say that I am very pleased to have been humbled in this matter. I have also been very grateful for the support and friendship shown to me by the Seminary faculty and my fellow students. They are very aware that I am—as far as they understand the term—a fundamentalist (I am not, as I understand the term), but I have nevertheless felt nothing but acceptance and collegiality from them. I have enjoyed my time there and value it very much. It has been a wonderful, encouraging, and eye-opening experience. I count you among these friends and colleagues. From this experience I have extrapolated that there may be far more faithful preachers of the Gospel in the PC(USA) than I initially thought going in. All that is to say that I am aware that I am painting with a broad brush when I make my statements concerning the PC(USA), and in doing so, I run the risk of offending relatively conservative brothers and sisters who have determined to remain within the denomination. However, and second, . . . Your response to me appears to take little account of the nearly 100 years of criticism, disagreement, withdrawal and separation that has hounded the denomination that now bears the name PC(USA). These criticisms are not mere petty and personal disagreements, but hit at the heart of the both the Gospel and the reliability of the Word of God that contains the Gospel. They go back to the Auburn Affirmation and the ensuing Fundamentalist-Modernist Controversy. Numerous denominations have split off of the PC(USA) over the decades. At each major juncture of criticism and separation, the PC(USA) has blatantly dug in and doubled down in its theological liberalism. From an outsider’s perspective, the history of the PC(USA) reveals that if there remain within the denomination conservative elements that truly preach the Word of God and the Gospel of Christ, then that is in spite of the manifest direction and decline of the denomination and not because of it. The denomination made its direction clear decades ago, and the decisions the denomination has been making ever since simply underscore that it continues to be set in the same direction. I praise God for those who remain to truly preach the Gospel and the Word of God. But if I thought their presence really offset the direction of the denomination as a whole, then I would have to believe that a separatist denomination such as my own has no reason for existence; that it was wrong to separate from the PC(USA); that it is wrong to say that the PC(USA) is an apostate denomination. This appears to me to be an arrogant thing to believe because it would dismiss the opinions and beliefs of hundreds of thousands of believers across this country from decades past until the present day. Which leads me to a criticism of your criticism. For decades, hundreds of thousands of Christians in thousands of churches have forsaken the PC(USA) precisely because they believe that the denomination has left off its allegiance to the Word of God and the Gospel of Christ. It seems to be your position that these hundreds of thousands of Christians are wrong and should keep their offensive opinions to themselves. To deny the legitimacy of our denomination’s origins as a separatist organization appears to me to be a less than humble criticism. The history of the fundamentalist-modernist controversy and the denominations that resulted from it have caused people to take sides over issues that they believe hit at the heart of the Gospel. I think it would be marvelous if all these denominations could re-unite and drop their criticisms of one another. It certainly would make each side appear less arrogant. But for this to happen, the PC(USA) would have to repent of decades of digging-in and doubling-down in support of theological liberalism . I do not have any hope of this happening, no matter the number of true Gospel preachers who remain within its organizational boundaries. They continue to dig-in and double-down. Thirdly, as far as the less-than-humble sound of my criticism, I offer no defense other than that the accusation goes with the territory of “contending for the faith once delivered.” Of course, contending for the faith can be done arrogantly and can be done humbly, but I am not sure that my brief post contains enough information to really allow one to judge the state of my heart in the matter. When two sides hold opposing positions strongly, someone will always suggest that the mere act of disagreeing is arrogant, not matter how humbly the dissenter may try to be. I have demonstrated that by suggesting you have been less than humble in disagreeing with me. The theological differences between the PCA and the PC(USA) are public matters of stone-engraved history. If I am arrogant in pointing them out, then my denomination is arrogant for existing, and I have a hard time believing that someone who would believe that has the right to call the kettle black. Likewise, I count you my dear brother in Christ. I look forward to decades of friendship and fellowship by some means or another. And I am grateful for your prayers. Thank you for the thoroughness of your communication. I wish to respond in greater detail but will, in lieu of that, merely select a few comments of yours and perhaps, use them to clarify my own. To begin - "To deny the legitimacy of our denomination’s origins as a separatist organization appears to me to be a less than humble criticism." It's funny but as I read the 15-20 sentences which comprise my missive, I find nothing remotely that denies the legitimacy of the PCA nor do I find the word separatist within the comments. Now, one might look to Paul's disdain for schism as a means to condemn separatism (particularly in 1st Corinthians 1) but since that would apply to all of us Protestant church, I don't think I'll apply it here. Comment #2 - "Your response to me appears to take little account of the nearly 100 years of criticism, disagreement, withdrawal and separation that has hounded the denomination that now bears the name PC(USA)." Again, you must be doing a fine job of reading what I didn't write. As you may well remember, I have absolutely no faith in the theological purity of the PC(USA) and find myself in abject disagreement with the majority of our denomination from time to time. I daresay that I have more in common with my brothers and sisters in Christ in the PCA than I do within my own denomination. Again, I apologize for not making my points more abundantly clear. We are all saved by grace through faith with faith itself being purely the gift of God. I take that to mean this - I do not believe that salvation hangs on the "purity" or "correctness" of theological beliefs...my own or anyone else’s. Gosh, that’s got to frustrate someone like you who lives and breathes Reformed theology. If it were the case that orthodoxy was a requirement for salvation, then I think we'd have a pretty large Christological problem in that we couldn't really account for the Incarnation, Crucifixion and Resurrection. If humanity could be saved by right belief and right belief alone, then what need is there for Christ? My initial writing only questions the premise that somehow, someway that the "Gospel that Paul" proclaimed” is the exclusive purview of the PCA and largely does not exist in my denomination. I disagree with this. It would be somewhat akin to me saying "gosh, those PCA folks must not get the church reformed, always reforming by the Word of God" and thereby determining that the entire denomination had made an idol out of the Westminster Confession of Faith. My comment about humility lie not within your beliefs but rather the quickness with which you make broad, sweeping allegations to which you have no real vantage point to make. You have an opinion and, if I understand total depravity at all, that means that you, like myself, are broken, flawed. Following that, there may be times when we think we stand on the Word of God but in our brokeness use the Scriptures to justify not our beliefs but ourselves. Now, are we being regenerated in Christ, you and I? I sure hope so. At the same time, to stand on your opinions of another denomination without participating in the life and witness of said churches seems, well, downright arrogant. Do you doubt the Spirit's presence, dear brother, in places you've never been? People are hearing the Gospel at PC(USA) churches whether you believe it to be true or not. People are coming alive in Christ at PC(USA) churches just as I believe them to be at PCA churches. People are being sanctified by the Spirit at PC(USA) churches just as I believe them to be at PCA churches. To God be the Glory. I have taken some time to read over my original post and our respective responses. I think I am content that what I wrote as it stands. But since I am a preacher and cannot shut up, here are some additional clarifications or summaries. This will be broken up into parts only because each comment is limited to a certain number of characters. 1) I have written this post in order to discourage people from attending PCUSA churches. This does not mean that I do not acknowledge the existence of churches within its organizational boundaries that preach the Word of God. a. However, in the first place, because the denomination allows apostates to minister within it ranks, I cannot support attending any of its congregations no matter how strongly they preach the Word. The denomination as a body has failed to remove apostasy from its midst and has even worked diligently to accommodate and excuse it. I believe this to be blatant disobedience on the part of the whole. Those who do preach the Word are still part of the whole and, unless they are raising hell on the denominational level, are tragically contributory to its disobedience. What I am saying is that the battle has been lost, if it is now being fought at all. A generation ago, a multitude of congregations responded to that realization by departing the PCUSA and forming the PCA. If I were not three years old at the time the PCA was formed, I would hope that I would have been among those who left to form the new denomination. A generation before that the OPC did the same thing. In the present generation, the Evangelical Covenant Order of Presbyterians is now doing the same thing. Each apparently had different “last straws.” If I would encourage people to leave the denomination out of a conviction that the battle has been lost, then I cannot encourage people to attend a church within the denomination. b. In the second place, since the PCUSA is a theological amalgam of liberal, moderate, and relatively conservative churches, I believe one is rolling the dice as to whether or not any given church will faithfully preach the Word. This is compounded by a reasonable suspicion that even the PCUSA’s conservative preachers are only relatively conservative compared to the conservativism of my own denomination. Many of those who are concerned about my first subpoint can still do their own discerning research. But since discernment of God’s truth comes through regular, faithful instruction of God’s Word, I cannot recommend potential attendees to attend a place where they may or may not receive such faithful instruction to be able to discern whether or not the church they are in is faithfully preaching God’s Word in the first place. The simple solution in my mind is to just go to a church where you can be guaranteed that you will get God’s Word. 2) I suspect that you and I may differ on how certain we can be concerning our knowledge of the Truth as revealed in God’s Word. My certainty is one-in-the-same as my denomination’s certainty. I will grant that this must appear arrogant to those who do not believe that one can know truth as certainly as I and my denomination believe that the truth can be known. It is this belief in certainty that is the foundation for my willingness to make my broadbrush statements concerning the PCUSA as a whole. It is also this certainty that is the foundation for my more narrow and focused criticism of those who are not so certain. Not only is a lack of orthodoxy problematic, the belief that orthodoxy is not necessary or achievable is too. The differences are theological and hermeneutical. a. Theologically, we believe that the Scriptures are absolutely authoritative and sufficient, and that no additional specific revelation is either necessary or provided by God. Along with this come the uncompromisable doctrines of infallibility and inerrancy. We hold these doctrines certainly and with confidence. We are prepared to accept that others view this as arrogant. Some of us are better than others at maintaining or presenting these beliefs humbly, but when the mere holding of the belief draws accusations of arrogance, then there is little we can do about that. We certainly cannot comprise the belief. Granted—you did say, “My comment about humility lie not within your beliefs but rather the quickness with which you make broad, sweeping allegations to which you have no real vantage point to make.” But you also made light of “someone like me who lives and breaths reformed theology.” I could have mistaken your tone, but cannot help thinking that this latter comment stems from belief that there is a lack of humility in my conviction. b. Hermeneutically, we believe that through historical-grammatical research and the necessary guidance of the Holy Spirit, we can know with a great degree of certainty what most of the Bible teaches. I confess I do not understand your comment about not being able to account for the incarnation, crucifixion and resurrection. I think God has made it as clear as it needs to be for salvation. Our commitment to the Westminster Confession of Faith, and our willingness to make it our exclusively creedal document testifies to our belief that we can know with a great degree of certainty what the Bible teaches. Some things are more knowable than others. Some things are more important than others. About so many things, there is room for debate. But some things are necessary to know for salvation to be possible. This gradation of knowability and certainty allows us to embrace countless others who disagree with us as brothers and sisters in Christ in spite of the differences. But the conviction that some things are necessary to know also gives us ground to say that others are not brothers and sisters in Christ. We believe that Reformed theology is the best and most accurate theological paradigm deduced from our historical-grammatical hermeneutic. Our churches take seriously the task of communicating this theology to our congregants and presenting it as the best interpretation of God’s Word. This means that sometimes we present these believes in contrast with other interpretations. In doing so, we necessarily imply that the others are either wrong in extreme cases or do not fit the Biblical evidence in less extreme cases. Again, all this is subject to the accusation of arrogance. This instruction can be done arrogantly or humbly as a matter of style and attitude in presentation. I agree that it should be done as humbly as is humanly possible. However, to say that one is right and another is wrong when interpreting some things in the Bible is the inevitable result of believing that it is possible to have a great degree of certainty about what the Bible teaches. 3) You have rightly said that we are all the products of God’s grace. God can and does operate in all our churches according to his sovereign will. He revives, saves, blesses, as he sees fit. I have no doubt that God blesses wherever the Word of God is preached with greater or lesser “purity.” Salvation may not hang on the purity of the message preached, just like salvation does not depend upon the purity of our faith. However, how God chooses to bless his Word in its degrees of purity does not mean that we are not obligated to preserve it as purely as possible. He does as he pleases, and we are obligated to do as he commands. He will do as he pleases even when we do not do as he commands. This is not a tacit approval of disobedience on his part. You are absolutely correct that God is not limited to right belief. But that does not change the fact that we are still obligated to right belief. God is not limited to orthodoxy, but we are obligate to orthodoxy. As I have said, I believe that right belief is possible and that we will all be held accountable for right belief. God can and does move in people’s hearts within the PCUSA. I praise him for this. But the PCUSA will still be judged for its failure to maintain orthodoxy. 4) Please don’t read my comments as trying to put words in your mouth. I know what you have said and not said because I have read it many times over. But I have tried to demonstrate some of the implications of your statements. Likewise, my statements are nestled into a larger argument, so my saying that “you have denied the legitimacy of the PCA” is not to accuse you of making a direct statement (you did not), but rather to say 1) that your argument if taken to its end implies this, and 2) my argument stands not merely as that of an individual who has no vantage point to make a sweeping judgment, but as one that is consistent with my denomination’s as a whole. You have granted that my lack of humility may not lie within my beliefs. I am grateful for that, although you may recant after reading the above. But rather my lack of humility lies in my lack of vantage point (no adequate personal experience with what individual congregations may or may not teach throughout the PCUSA) to make broad sweeping allegations. My point in bringing up the denominational comparisons so strongly, and in presenting all this in denominational terms, is to remove my lack of personal experience from the equation. I stand with my denomination on these points and I think I have represented them accurately in content if not in tone. My denomination made this judgment 40 years ago and has not changed its position since then, So I rest on its vantage point, rather than my own. All that takes me back to the simple point of my post—I think people should attend PCA churches rather than the PCUSA churches and I believe my reasons are strong. I will always maintain that valid interpretations are possible and that some interpretations are more valid than others. We will always grant that our depravity has infected our ability to both determine validity and to determine valid interpretations. This gives us grounds for humility in our relationships with other believers, but it does not prevent us from maintaining strong beliefs. I will never say that we can never know what God has intended for us to know in the gift of his Word. His Word serves the purpose of revealing to us what he wants us to know. To deny that we can know it with a relative degree of certainty is to deny the value of God's revelation and the means by which he has chosen to communicate himself to us. As fallible as we may be, some interpretations are demonstrably more valid than others. As fallible as we may be, some interpretations are better attested by the history of the Church than other interpretations. I believe the Holy Spirit is very much involved in every stage of our ability to come to these more or less certain conclusions. To deny that we can come to some relatively certain knowledge of the truth of God's Word is to fall prey to the errors of relativism that pervade our society. There is a profound difference between my relative certainty, and your certain relativity. But inasmuch as you are certain that we cannot know Paul's Gospel Truth certainly, you are making a truth claim that appears gnostic to me, in that it does not ground itself in the Word of God. I believe that God has revealed himself in the words of Scripture as the primary and sufficient means of revelation. The Holy Spirit enables us as individuals and the Church as a corporate body to believe and accept what God reveals. The Holy Spirit has guided the Church into a profoundly unanimous understanding of the Gospel and the various aspects of theology that surround it. The Church has throughout the ages taken dogmatic stands based upon the revelation of Scripture. Much of that has been united in thought and interpretation. I therefore have no qualms in joining the rest of the Church in the historically Reformed tradition of the Westminster confession specifically and evangelical Christianity more broadly in saying that we can know the truth of God's Word enough to be able to say that some things are absolutely wrong, evil and heretical with regard to Faith and knowledge. I believe that you are simply redefining orthodoxy as something more broad and vague than what I am. We both have our orthodoxies. My question is then, what is the source for yours? Is it the Word of God, or is it something outside the Word of God? Upon what do your base your conviction that the revelation of God cannot be understood as plainly as the Words in which it was written. You are not merely denying that we can know the history and the grammar of the Bible. You are denying the epistemological foundation of the historical-grammatical method. I cannot disagree more strongly. I concur that when we do not know the history and grammar and word meanings, that we cannot know as certainly as we could if we did. But when we do know the history and grammar and word meanings, I affirm that we can know what God reveals. Theology is of course, much more than just history and grammar and word meanings, but that is what the work of the Holy Spirit has been throughout the ages, guiding the church into profound unanimity with regards to the most necessary parts of our beliefs. I find it less than humble to come along in the 20th century and suddenly begin to question whether or not we can know and understand the Gospel that Paul preached. Now Available in Print and Kindle! Click the Pic to Purchase! Cool Calvin TShirts and Mugs! West Virginia desperately needs more reformed believers and churches. 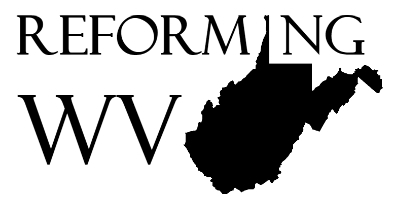 My hope is that this site may eventually encourage fellow West Virginians to embrace and spread the reformed Faith throughout this great State. But Reformation is so much more than just reformed theology, so not everything on this site has to do with reformed theology. Besides, nobody likes people who only talk about reformed theology. Check out the Topics for Discussion on the bottom right to pinpoint a topic in previous posts. The author of this site is the Rev. Dr. Dennis E. Bills, a minister in the New River Presbytery of the Presbyterian Church in America and an eighth generation West Virginian. Should you desire to contact the author, email dbills at adoniram.net. Looking for a Reformed Church in West Virginia? Here are some links to churches with websites. Please credit this site when quoting or referencing our material.. Simple theme. Powered by Blogger.